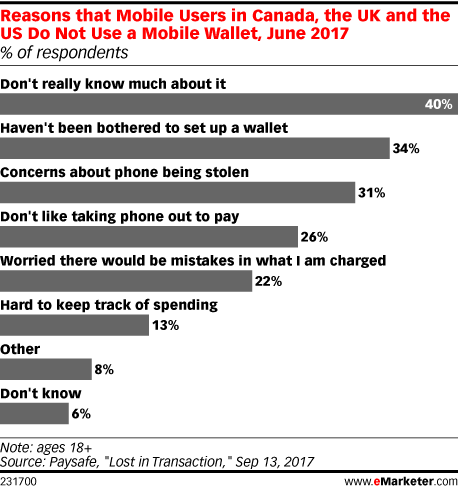 Data is from the September 2017 Paysafe report titled "Lost in Transaction." 3,038 mobile users ages 18+ in Canada, the UK and the US were surveyed online in June 2017. Respondents all had to own mobile devices to take part in the study. Paysafe is a payment platform provider.